The interactive New Zealand travel planner allows you to create your own customized itinerary for traveling in New Zealand according to your preferences and budget. The travel guide is designed as a complete travel planning solution based entirely on your own terms to organize a New Zealand vacation or holiday. Select regions of New Zealand below to choose from activities, events and overnight campervan locations and create a customized New Zealand travel itinerary. You can organize your trip yourself to save time and money while ensuring that travel plans are free from agency imposed constraints and costs. Empower yourself as an independent explorer and create the right New Zealand itinerary for you. 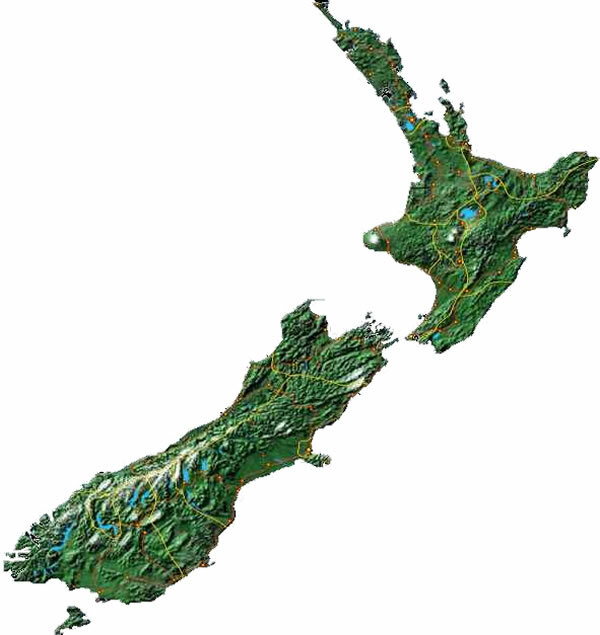 Useful tips for traveling in New Zealand as well as resources for planning your travel to and within the country are available throughout the itinerary creation process. An optimized itinerary is presented with an interactive map and satellite view of the route along with detailed driving instructions plus budgeting tool including currency conversion and booking options. With complete freedom of choice for your New Zealand travel itinerary, you can quickly and easily find the best prices and make immediate reservations free of travel agent costs. • $10 on average per night for campsite parking with facilities. • $5 per day for petrol. • $10 for food supplies. This represents a reasonable budget without extra activities of $35 to $65 per person per day depending on the season. The base daily cost per person converts to around NZ $250 to $450 per week as a cheap New Zealand travel option when traveling as a group. Additional costs to consider include unlimited Wi-Fi access, interisland ferry, as well as event and activity bookings. New Zealand Your Way is designed to make New Zealand travel planning as simple as possible by providing flexible options for accommodation, vacation activities and transport including international flights and local options. Our complete independence from tourism operators allow us to find and offer an unbiased choice of travel options to suit individual travel requirements, desires and of course budget. The automatic itinerary creation finds the optimal route and destination sequence to do more and travel less on your New Zealand visit. Personalized itineraries can be easily refined and best prices can be identified with fast and convenient reservation of accommodation and transport including flights, rental cars and campervans. Our primary purpose is to provide a complete, simple and efficient itinerary planning solution for traveling in New Zealand.